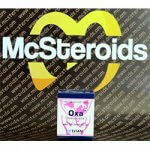 Testosterone Depo is a high quality testosterone enanthate preparation of the Serbian company Galenika. 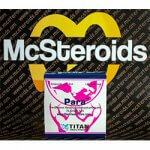 Testosteron Enanthate is an ester of the naturally occurring androgen, testosterone. In the body, the ester is cleaved by the esterase fully released and the naturally occurring steroid. Testosterone enanthate has a strong androgenic and anabolic and is therefore often used by users who want to build a lot of strength and muscle mass in a short time. After intramuscular administration of testosterone enanthate oily solution is slowly (7-8 days) and complete release from the depot.  Testosterone enanthate is split into testosterone and fatty acid, the resulting testosterone is to be regarded as the real drug. 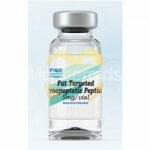 The mass obtained by testosterone enanthate, is not just pure muscle mass but also water retention. This water retention resulting from the conversion of testosterone into estrogen. Possible estrogen-related side effects such as Gynecomastia, the user can be prevented by aromatase inhibitors or antiestrogens. In most cases, these side effects occur only at doses from 500mg per week. You can also try a natural aromatase inhibitor such as zinc at a dosage of about 75-100mg / day. 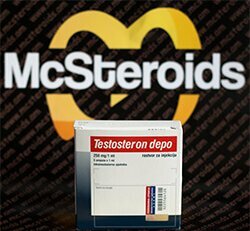 Testosterone Enanthate is one of the steroids, which accelerate the regeneration enormous and extremely shorten the time until the supercompensation. 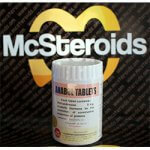 This allows many bodybuilders to reduce the breaks between workouts. The hypothalamus secretes LH releasing hormone from which causes the pituitary to secrete LH hormone that stimulates the testes to produce testosterone. If enough testosterone is present, no LH releasing hormone is released from the hypothalamus and more as it is full of testosterone during a steroid treatment, this cycle is suppressed. The majority of bodybuilders used in the PCT Clomiphene citrate and / or Tamoxifen to stimulate this circuit. 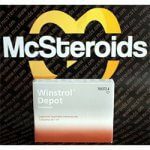 Many athletes also use Toremifene or raloxifene for their post-cycle therapy. In addition, you can combine this anti-catabolic substances such as Clenbuterol or Ephedrine to maintain muscle mass gained as much as possible. Testosteron Depo is frequently combined with other steroids such as Nandrolone Decanoate, Oxymetholone or Methandienone. 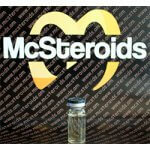 Testosterone Enanthate can still be detected up to 3 months after the last injection. Professional 750- ?mg per week.